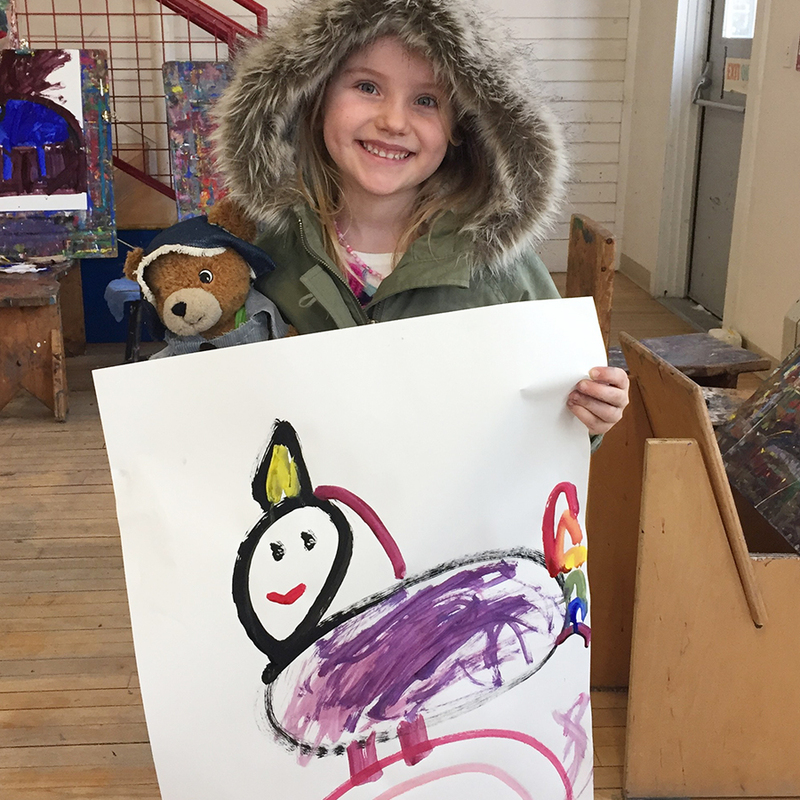 CAOS (Community Arts Open Studio) is a weekly workshop where children with caregivers make their own self-directed art projects using a diverse assortment of art supplies in AVA’s Schleicher Children’s Studio. Discover why CAOS is one of AVA’s most enduring popular programs, and leave with a drawing, painting, or sculpture of your own. Caregivers and artists of all ages are invited to AVA’s Schleicher Children’s Studio on Saturdays during the school year from 11am-4pm to enjoy making art together. For information about holiday weekends, please give us a call at (603) 448-3117. CAOS for Toddlers meets on Fridays during the school year and is designed for children ages 1–4 and their caregivers. Caregivers are asked to remain with their toddlers and help with clean-up. Enjoy CAOS free of charge through the generous sponsorship of Emily and Errik Anderson and their family.